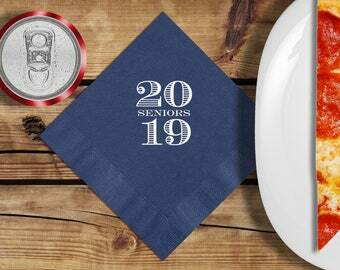 Coral Navy Beverage Napkins Personalize With Names, 3 Ply Paper Cocktail Napkins, Tropical Beach Nautical Wedding Theme, Size 4.75" X 4.75"
Napkins For Senior Graduation Party Navy Blue And White Perfect For Beverage, Snacks or Dessert. 3 Ply Paper Personalized 4.75" X 4.75"
Rabbits Black And White Wrapping Paper | Custom Woodland Bunny Gift Wrap Paper 9 Foot Roll or 18 Foot Roll Great For Any Occasion. 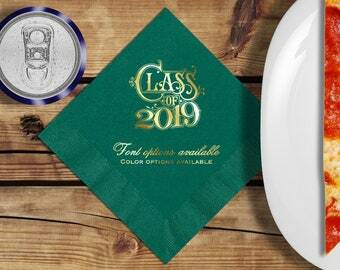 Graduation Party Photo Napkins Perfect For Beverage, Dessert, or Appetizers. 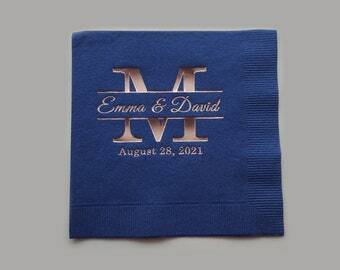 3 Ply White Paper Personalized Napkins 4.75" X 4.75"
Michigan Wedding Cocktail Napkins, Personalized Napkins With Couples Names Or Other Text. 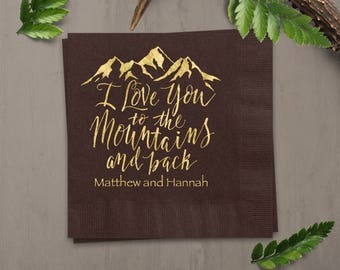 Personalized rustic wedding reception cocktail napkins. Print From Home Envelope Liners. Hello, I'm Trevor and I design and sell all occasion party supplies and stationery from my home on eight acres in the woods not far from where the movie “On Golden Pond” was filmed. Surrounded by twelve nearby lakes and the Appalachian mountains just North of here. I've always had crayons, colored pencils, markers or a paintbrush in hand as a kid and later in life picked up a camera with a passion for nature photography. All of the products in my shop are made by hand, many hands in fact with the help of leading industry technology in print and press. Your purchase helps support many Americans and their families including mine. I would love to print and make everything from my home but that would mean less time to design, longer processing and shipping times and more importantly, fewer American jobs would be supported. 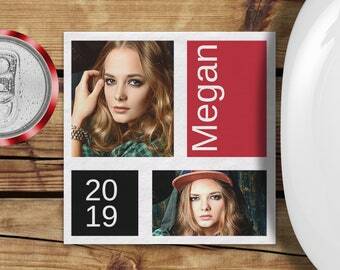 Instead I have chosen to send my designs to printers in various parts of the country who I trust will provide the best quality printed products for your happy occasion. 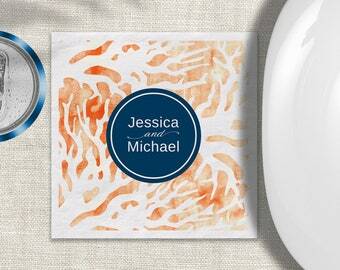 Some items in my shop are supplies not designed by me. If you are not satisfied with your order please contact me through Etsy messenger and allow me the opportunity to provide the best customer service to help you with your order. Please see my policy page for more information and thank you for your support. PineAndBerry.com, "PineAndBerryShop" here on Etsy. AisleTime.com, "AisleTime" on Etsy https://www.etsy.com/shop/AisleTime?ref=hdr_shop_menu for wedding invitations and other related stationery, wedding reception supplies and more. In addition to quality material, each job is reviewed by three experts before printing. Proofs must be approved before printing can begin. This business is open Monday thru Friday and closed on weekends and holidays. A resource for professional photographers, artists and designers who provide exceptional quality press and photographic products. This business is open Monday thru Friday and closed on weekends and holidays.